The Flash Pac® case contains a USB dock for securing most standard size USB drives and their removable cap. 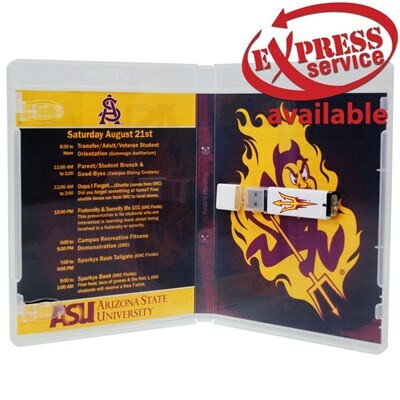 Get maximum visibility for your organization with the internal booklet clips and external vinyl sleeve for custom printed entrapments and inserted marketing materials. USB drive sold separately. Turn-Time: Custom Printed Packages in 1-5 days!